Fancy Feature Walls, How Thrifty! So I set out to recreate one of my favourite Pinterest interior trends of the moment, the picture frame feature wall, but with a very limited amount of cash. It was just a small way to make my home feel new again without worrying I'd broken the bank (as usual)! Luckily for me, there are a variety of cute charity shops in Southampton City Centre, so just a mooch around a couple of those and my wall was complete!! I managed to purchase a gold frame with a gold effect print inside of a tree for a mere £5, as well as a canvas featuring a cheesy but somewhat comforting life quote. And being the home fanatic I am of course I made sure they matched in colour! 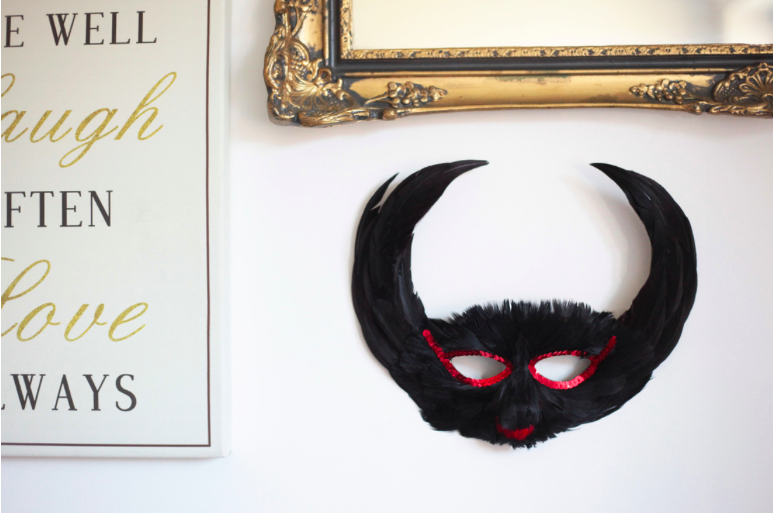 Two masquerade handmade masks also looked like the perfect addition to make it even more cute. 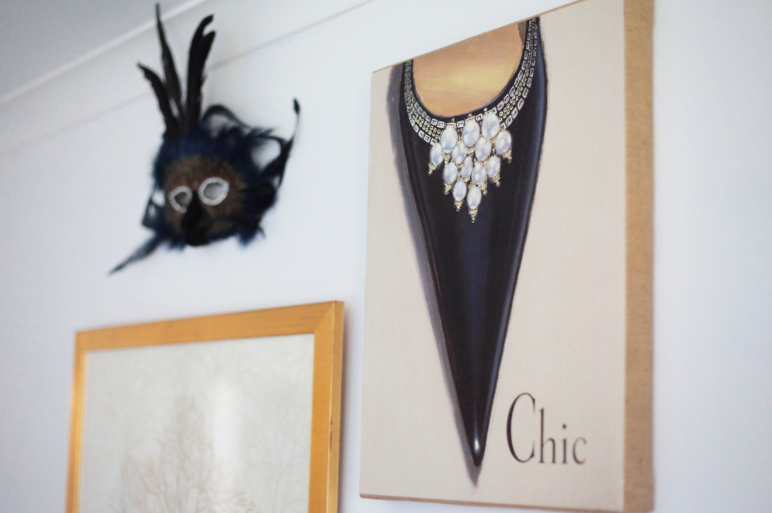 ​I then found a chic shoe canvas in another little charity shop just around the corner that luckily matched the colour scheme! What a great thrift day find! 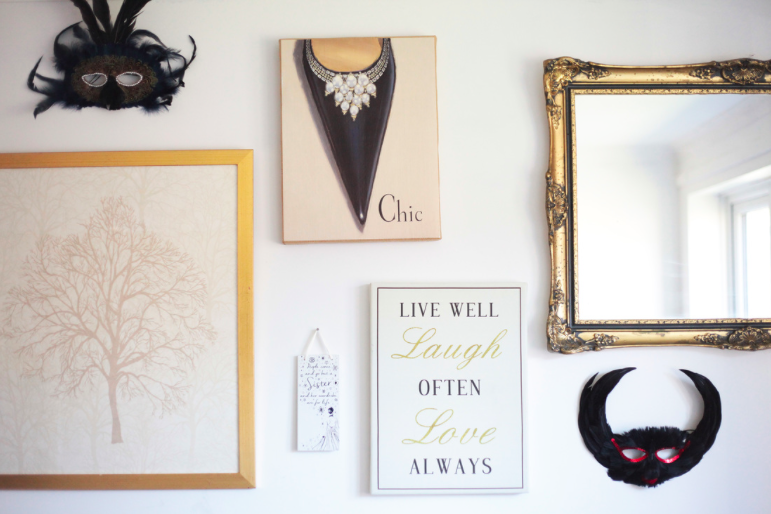 Matching this with an antique mirror given to me by and old neighbour made the perfect combination of vintage and quirky decorations for my feature wall!